It's a cool but invigorating morning on the west side of Rocky Mountain National Park. Big Meadows is still as fog wafts through the pines scattered through this beautiful meadow. 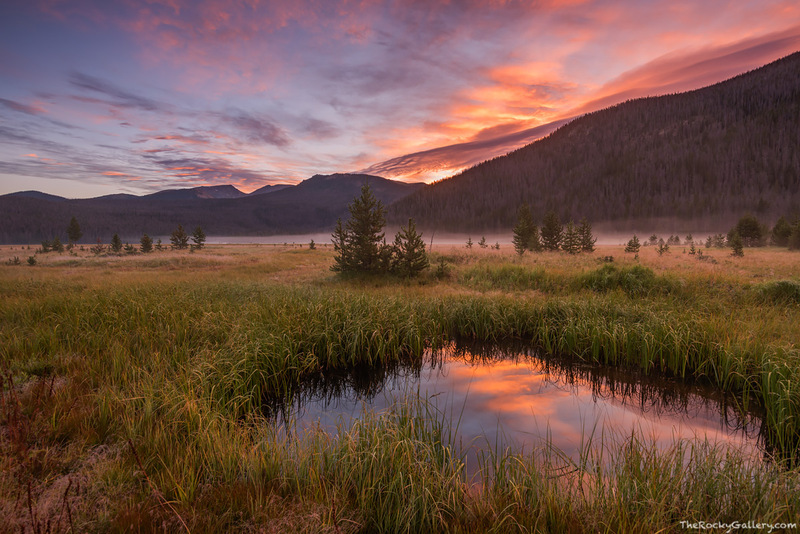 A bull moose chews on grasses a few hundred yards away and the first light of dawn casts warmth on this tranquil scene. Photo © copyright by Thomas Mangan.